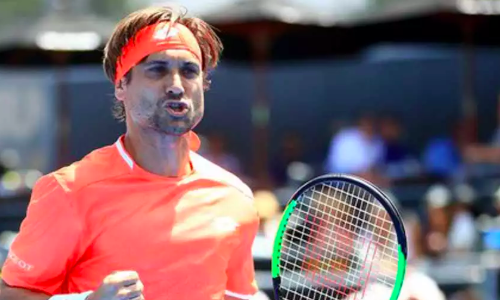 Spanish tennis veteran David Ferrer is set to retire at the end of this season. And, the 36-year-old received a guard of honour while entering the court for his first round match against Tunisia’s Malek Jaziri at the Argentina Open in Buenos Aires on Wednesday. As can be seen in the video below, players, coaches and some former pros including Gabriela Sabatini paid respect to Ferrer as he walked in to the applause of the crowd. And he didn’t let anyone down as he saved multiple set points en route a 7-6 (13) 6-3 conquest to set up a date with compatriot Albert Ramos-Vinolas. Earlier this year, Ferrer had announced he would pull the plugs on his career after featuring in six tournaments. Having competed at Hopman Cup, Auckland and now Buenos Aires, Ferrer is also scheduled to participate in Barcelona and Madrid. ¡Hermoso momento en el Court Central Guillermo Vilas! ??? ?